I was blown away by all the helpful advice and experiences everyone shared on this previous post about my friends' small space rental dilemma and desire for a sofa bed (link to article here). I was surprised with how many great options there actually are out there. Below is a round up of reader recommended sofa beds. Visit the previous post to read real life opinions on these choices. Notably, many people are using sofa beds as a secondary bed for guests or for temporary separate sleeping arrangements with a new baby. American Leather: received multiple endorsements and seems very popular in New York. Variety of styles and fabrics. Softline : Second endorsement for Softline this time for the sofa sectional Lounge. 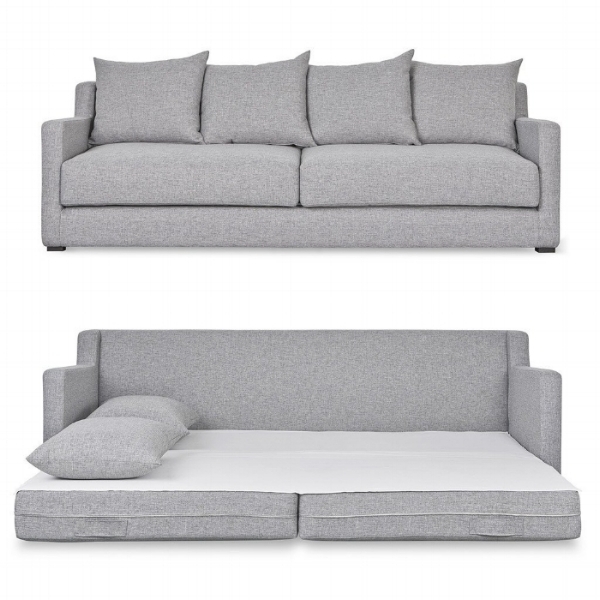 If I was to choose a sofa bed I would invest in Softline.